Some people use GameCubes to, y'know, play games. In fact, most of us probably do. 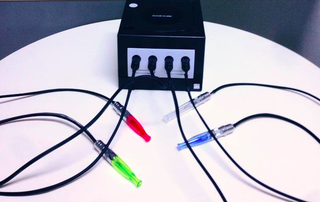 But you can also use GameCubes to smoke/vape, if you wanted to. They're not up for sale just yet, but you can keep tabs on that on Nebula Vaping Lounge's Facebook page. You can check more of those out here.